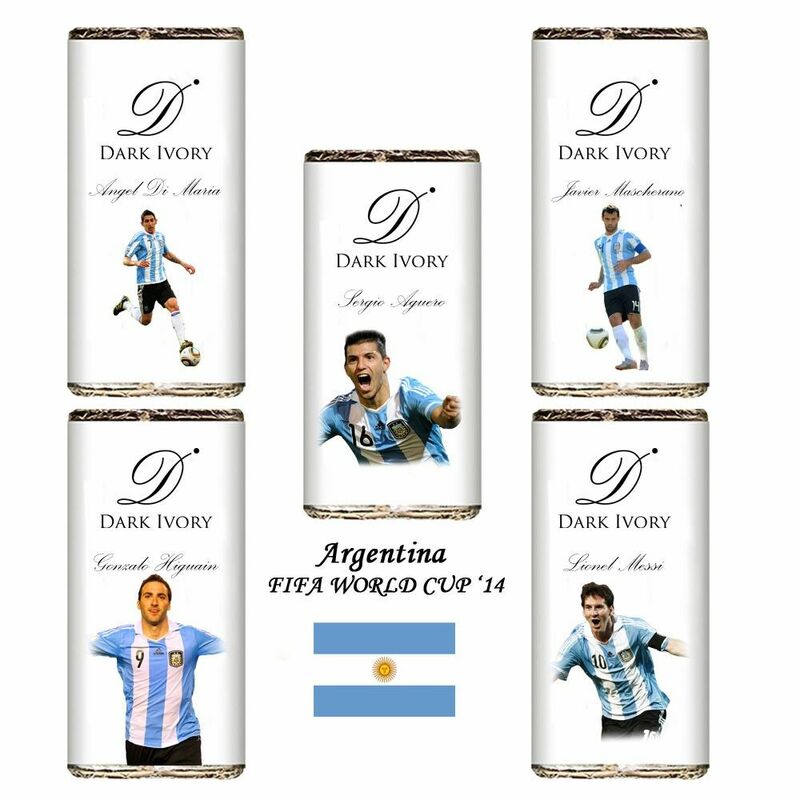 Add the spark of chocolaty taste to your world cup fandom with Dark Ivory’s new range of Argentina football chocolate bars. With chocolate wrappers donning the aura of the new age superstars - Lionel Messi, Sergio Aguero, Javier Mascherano and Gonzalo Higuain, you can now add these high quality prints to your personal collection of football mini merchandise. So root for ‘la Albiceleste’ in the road to the World Cup with Dark Ivory. Vamos Vamos Argentina !